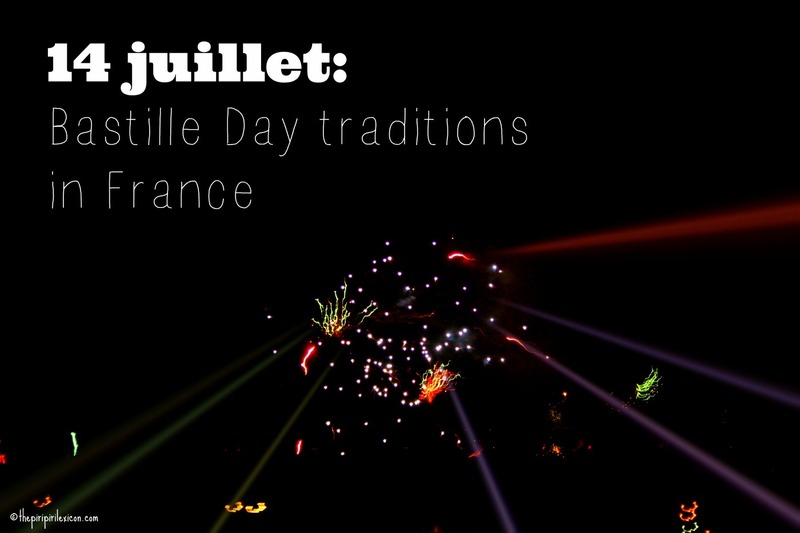 Today is not a silent Sunday as it is 14th of July, Bastille Day in France. A lot of people ask what happens on the 14th of July for our national holiday and how people celebrate it in France. So, here is my take on what happens in France on that day. The 14th of July is the national day in France. 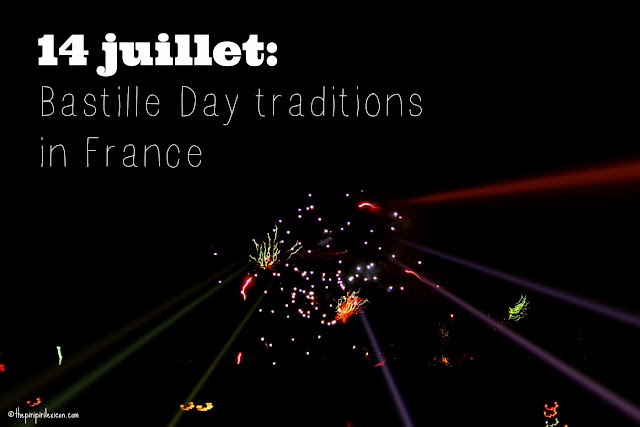 English speakers refer to it as Bastille day, but the French do not. They simply call it the national day (Fete Nationale) or 14th July (le 14 Juillet). Most people associate the day with the 1789 date when revolutionaries stormed the Bastille in Paris, a symbolic day of the French revolution. But the date actually marks the Fete de la federation (1790): a huge feast and official event to celebrate the establishment of the constitutional monarchy in France. It is a symbol of the uprising of the modern nation and of the reconciliation of all the French inside the constitutional monarchy which preceded the First Republic during the French Revolution. 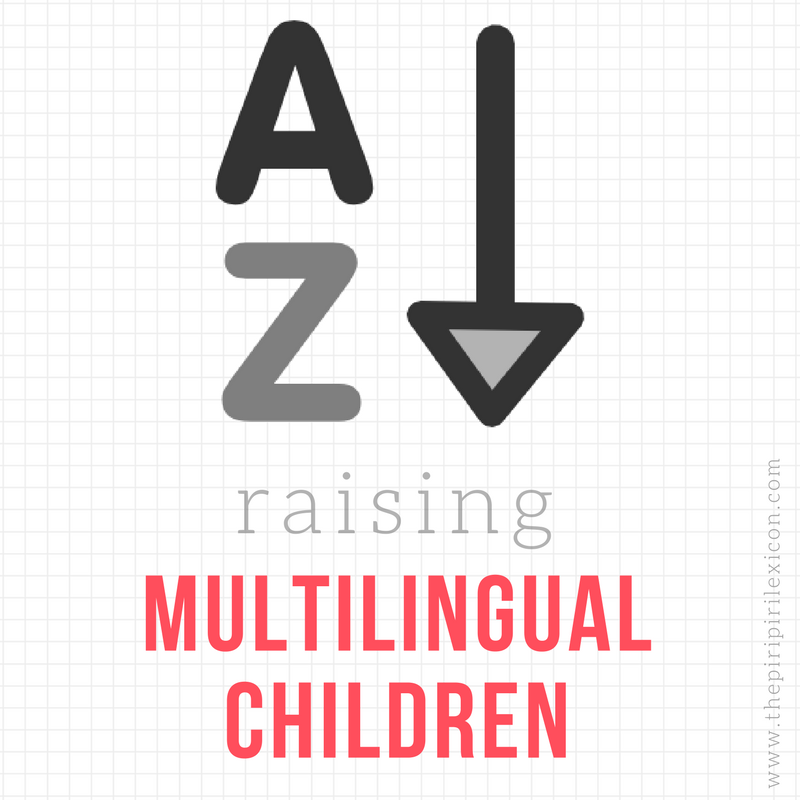 On a national level, there are several traditions. In the morning, there is a huge military parade in Paris. 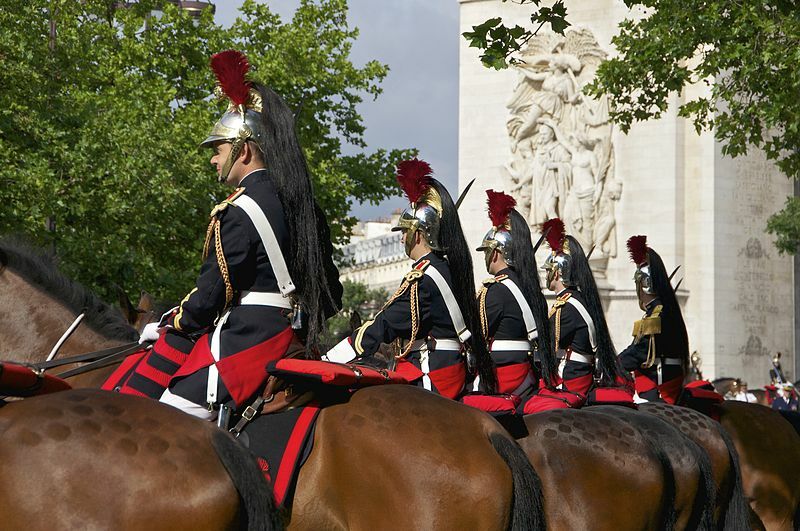 Troops from all sections of the French military parade on the Champs-Elysées. Here you can see pictures of the 2013 one. The President of France usually gives a lengthy interview to the press after attending the parade. Not the most exciting day, so far, I think. For the average French, the 14th of July marks the beginning of the holidays. A lot of people are on holidays between now and the middle of August. Paris slowly empties itself and the beaches of the south coast fill up. Most larger towns and cities organise a 'bal populaire' in the evening followed by fireworks. This is what the 14th of July is about for most people. I certainly remember evenings spent dancing and watching fireworks. For me the day does not carry any kind of special meaning as, on a local basis, celebrations are quite low key. It is a day of holiday where families may meet up for a big meal (as only the French can do): cousins run around together for that one day in the year while adults sit at the lunch table for about 6 hours. So far, LJ has experienced one typical 14th of July, last year with her cousin (but no 6-hour meal). 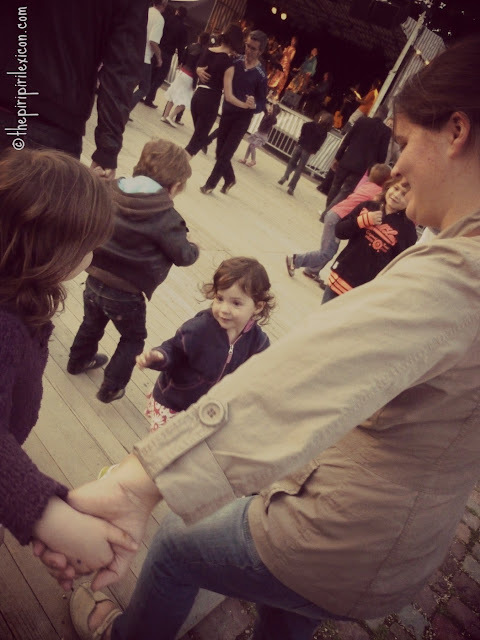 They both loved the dancing. But she was scared of the fireworks and refused to watch (she was 2).